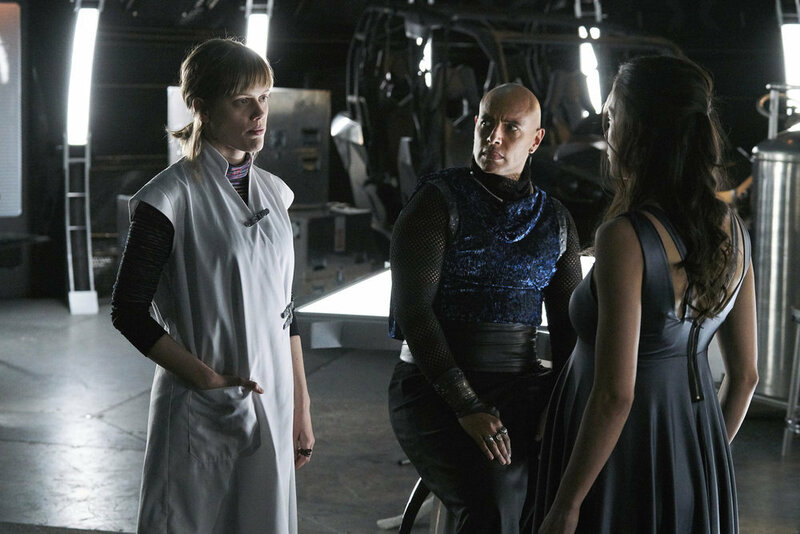 This weekâ€™s Killjoys packs a ridiculous amount of story into 43 minutes, and Zeph is front and center and threaded throughout. 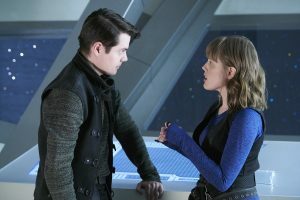 In the second part of our interview, Kelly McCormack talks about pairing with Atticus Mitchell, going so hard this season that it sent her to Italy to recover, and whatâ€™s next after Killjoys wraps production this month. Zeph has become indispensable to Team Awesomeforceâ€”delivering babies, deciphering spores, and trying to de-spider Pip. McCormack has been thrilled to play all of it, and particularly enjoyed switching between Kelly, who loves babies, and Zeph, whoâ€™s distinctly, â€œmehâ€ about them, back in Episode 404.
â€œI’ve never crammed more science jargon into my brain. Give me every prop, I will do it. She’s been an ob-gyn, she’s made a frickinâ€™ jump cube. What med school did she go to? Was she the only student, so they taught her everything? I’m deeply honored [that they’re throwing everything at her],” she shares. 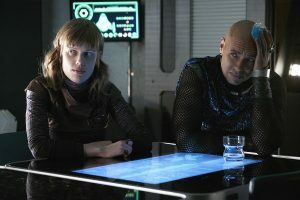 McCormack has loved the multiple layers of Zephâ€™s challenge to save Pip, and offscreen, has had a ball with Mitchell as her frequent scene partner. 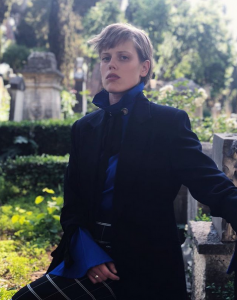 â€œBecause she has feelings for Pip, and they have this very unique relationship…like she does with everybody, she’s going to put it on her shoulders to solve it,” she says. 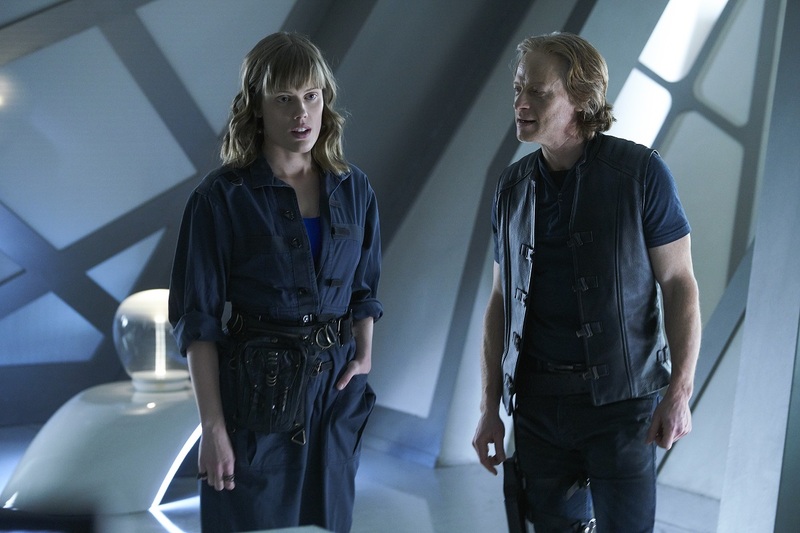 McCormack found herself paired with Mitchell again over at The Expanse and only discovered it after both were cast. â€œI’ve auditioned for all the [Canadian-filmed] sci-fi stuff. Some of them don’t want you to cross over [to other shows]. 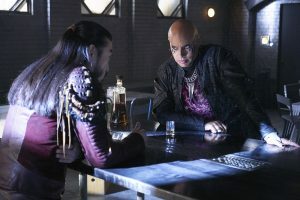 [The Expanse] didn’t care I was on Killjoys. I went in for the costume fitting and the wardrobe person pointed at Attucisâ€™s headshot and said,’This is your Mars bestie. Do you know him?’ I started laughing,â€ she recalls. McCormack also enjoyed working with her real-life pal Thom Allison and says weâ€™ll see more of Pree and Zeph. â€œPree has this true north ability to just say the right thing. He can synthesize what everyone is feeling and say the wise, grounded thing,â€ she explains. When she says hard-core, she’s not kidding. The series took a month off between shooting Seasons 4 and 5, and McCormack was super grateful for the break after literally leaving it all on the screen. Almost sidelined by a persistent lung infection, she took a doctorâ€™s suggestion to go somewhere warm and decamped for Italy, spending the hiatus there and turning her recovery into an Instagram series of photos that are a fun nod to 19th century artists who fled England for Europe. â€œIt was humbling. You’re nothing without your health. I went there for a month, got better, and came back. I decided to turn it into a Keats, Shelley, and Byron [homage]. I feel like social media is becoming more reductive with clickbait and emojis. It can only go so small and abbreviated until it disappears, so I thought, â€˜Let’s bring the long form essayist Instagram action back,â€™ she says. 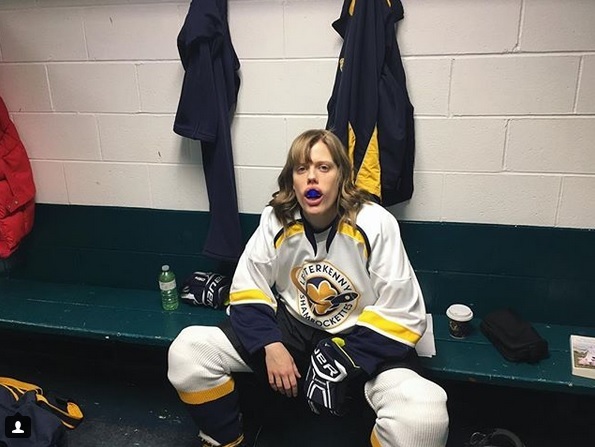 Alongside Killjoys, McCormack also banked four episodes of the Canadian series, Letterkenny, which is airing its earlier seasons now on Hulu in the US, and she was astounded that she got to play one of a pair of characters who are pretty uninhibited in their language, but she leapt at the opportunity. Killjoys airs Friday at 10 pm/9c on Syfy and Space Channel. The first eight episodes this season are online at both sites and on their apps. All of our Season 4 coverage is here. You can also catch McCormack in theaters this weekend in the new noirish thriller, A Simple Favor.